Amphibian means "double life." These amazing creatures are at home both on land and underwater. In fact, all amphibians begin life underwater as tiny tadpoles with tails and gills. As they mature, gills are replaced by lungs, and the tail is absorbed by the body. Most live portions of their lives on land. Many people confuse reptiles, particularly snakes, with amphibians. Reptiles have scales, and amphibians do not. 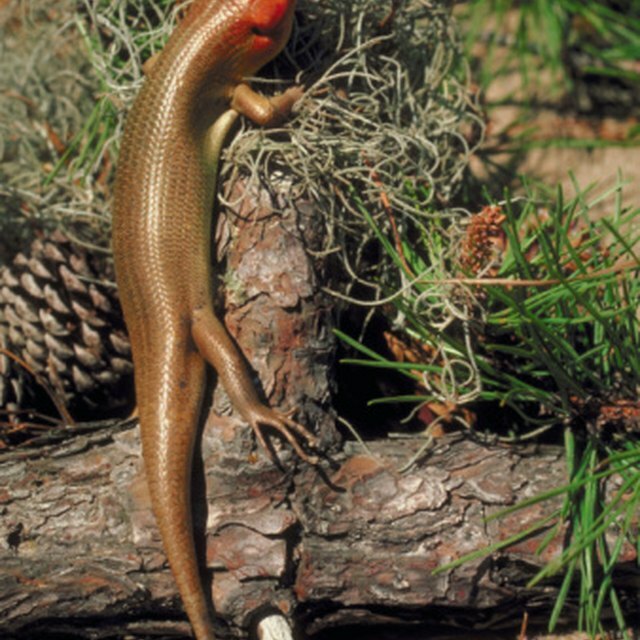 Salamanders, which are amphibians, are often erroneously referred to as lizards. Because amphibians have moist skin, most people assume all amphibians live in wet areas. Amphibians have smooth, slimy skin that is covered with mucus secretions. This keeps their skin moist and allows oxygen to pass into their bodies. Amphibians cannot drink water with their mouths. Water is absorbed through their skin. They reproduce by laying eggs in water, usually in gelatinous masses but also in strings singly attached to grass and weeds. Tadpoles hatch from the eggs. These tiny creatures resemble fish because they are legless and have gills and tails. As they mature, the legs and tails are reabsorbed into their bodies and the gills are replaced by lungs. Tiny amphibians emerge on land. Some leave the water, returning only to reproduce, but many remain near the water's edge, spending time both on land and in water. Some amphibians live in dry areas and burrow into the wettest soil they can find to estivate (hibernate) until wet weather arrives. Amphibians generally hibernate in wet soil during freezing winter months, but some can actually survive a freeze of the body. Amphibians are cold-blooded, and their body temperature remains the same as the surrounding air or water. Frogs, toads, salamanders, caecilians and newts are all amphibians. Caecilians live primarily in tropical forests and resemble large earthworms. They are rarely seen since they burrow into the soil. The giant Goliath frog has a foot-long body, and its legs extend at least another foot. The Chinese giant salamander is reported to be 45 inches long and weigh 25 pounds. Tiny frogs can measure a mere 4/10 inch at maturity. Amphibians are found on every continent except Antarctica. Richford, Nannette. "What Type of Body Coverings Do Amphibians Have?" Sciencing, https://sciencing.com/body-coverings-do-amphibians-have-4572496.html. 14 March 2018.